Follow this step-by-step guide and watch the magic unfold. 1. Only clean out the lint from the lint tray thing in your dryer at home. 2. Let lint build up everywhere else in the dryer and in the vent hose. 3. Turn on your dryer. 4. Start cooking in your kitchen. 5. When someone says, “Ew! What’s that smell? What did you burn? ?”, look in your oven and see your food smiling back at you. 6. Reply back, “It’s not the oven…. 7. 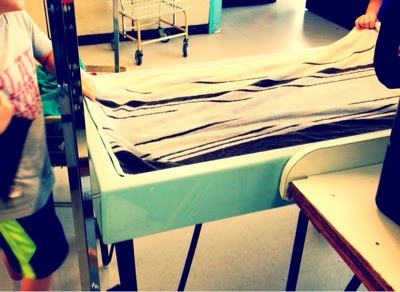 Run into the laundry room and find it full of smoke. Unplug the dryer. Cough. Hack. Frown. 8. Over the course of the next few hours, watch your husband (or you or whoever you can get to gut the dryer) find all sorts of things that got mixed in with the lint, including an earring you’ve been missing and lots of dollar bills. 9. 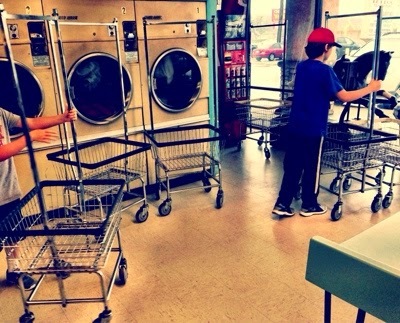 GO TO THE WASHATERIA THE NEXT DAY WITH YOUR KIDS. 10. Watch their eyes light up at all of the buttons, doors, baskets, change makers and vending machines. 12. Watch the fighting immediately stop when you get home and have to put all the laundry up. They are nowhere to be found. I seriously never thought I’d see the day when they fought over laundry. 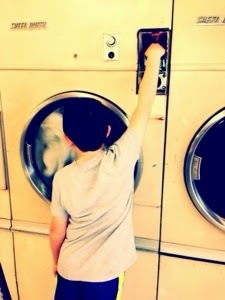 I might have to make the washateria a regular part of our lives- at least every now and then. I’d rather it not be because of almost burning my house down, though. Before the fire trucks are sent. Bad stuff, that out-of-control lint. Wonder where your house went? Don’t blame me. Blame the lint.